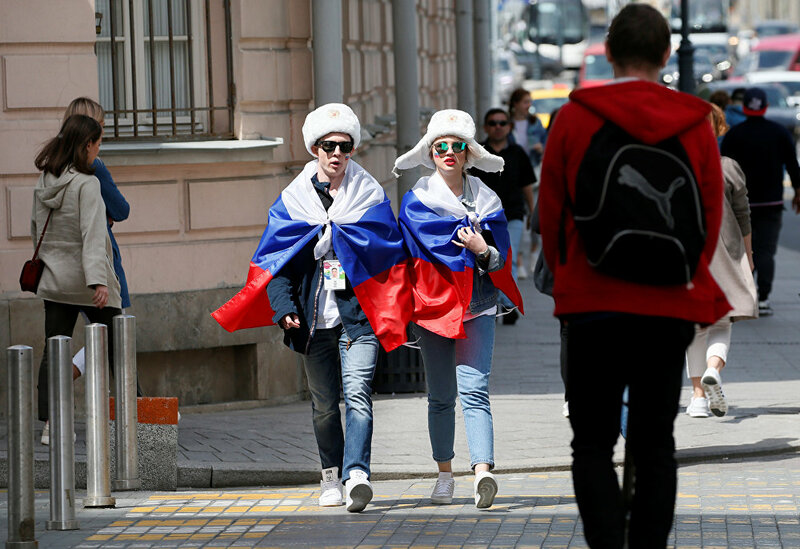 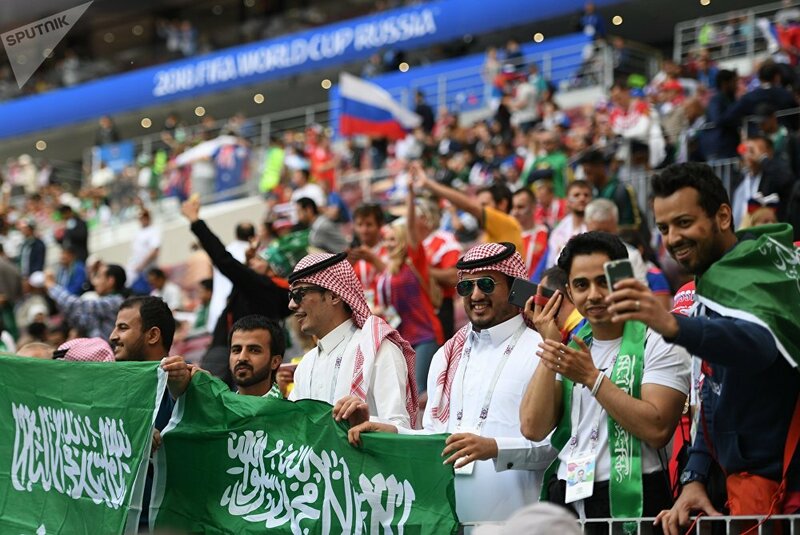 Fans ahead of the opening match of the FIFA World Cup 2018 between Russia and Saudi Arabia. 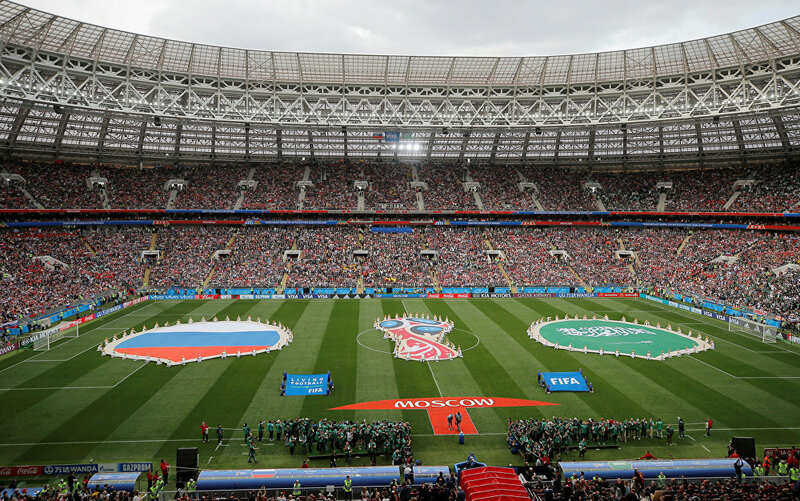 Sputnik has summed up the photo highlights of the opening day of the FIFA World Cup in Russia. 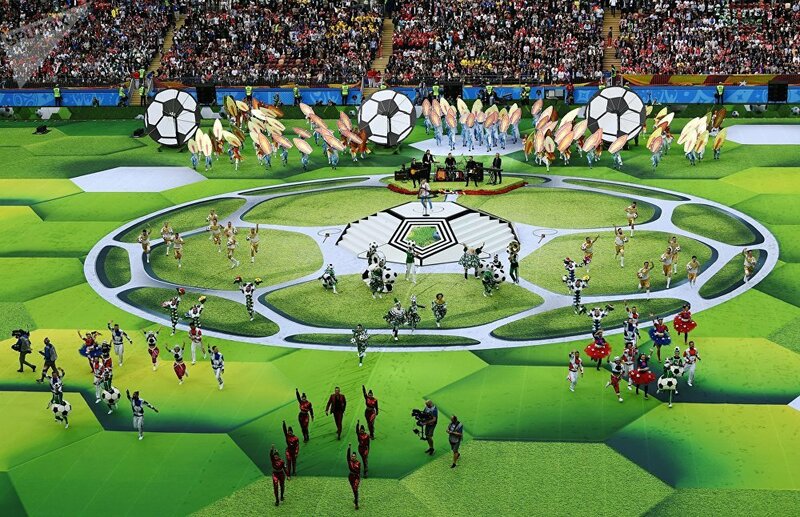 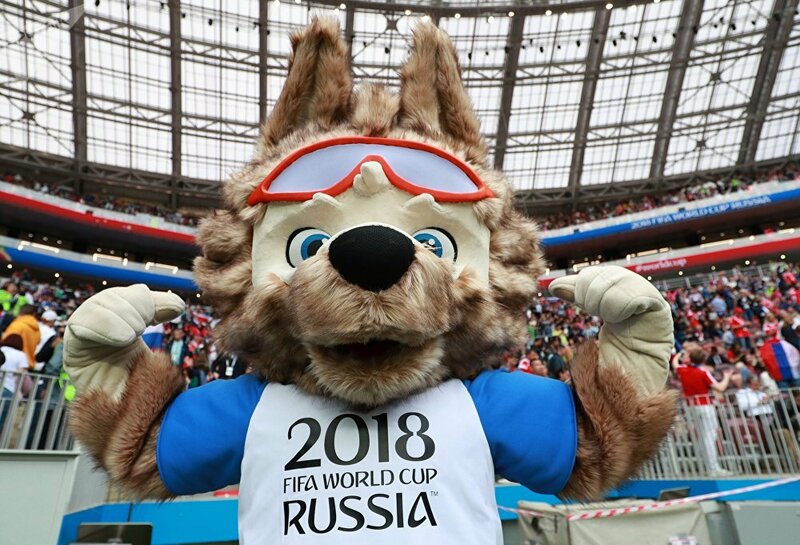 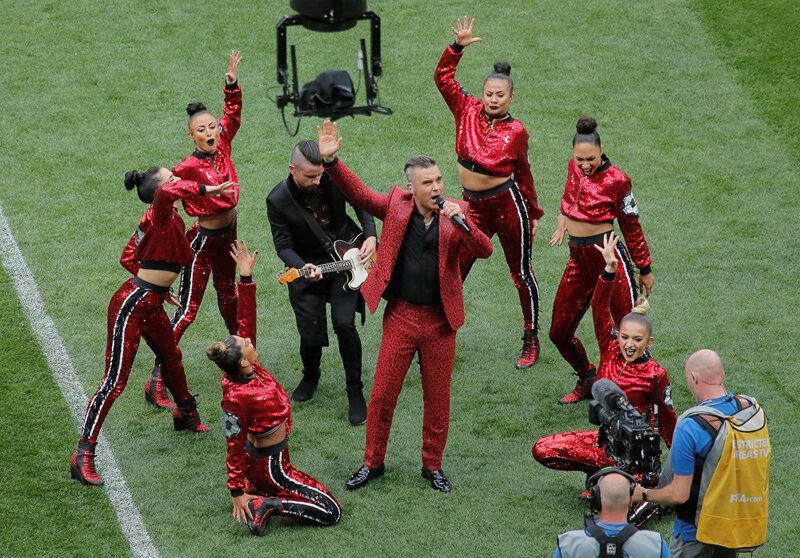 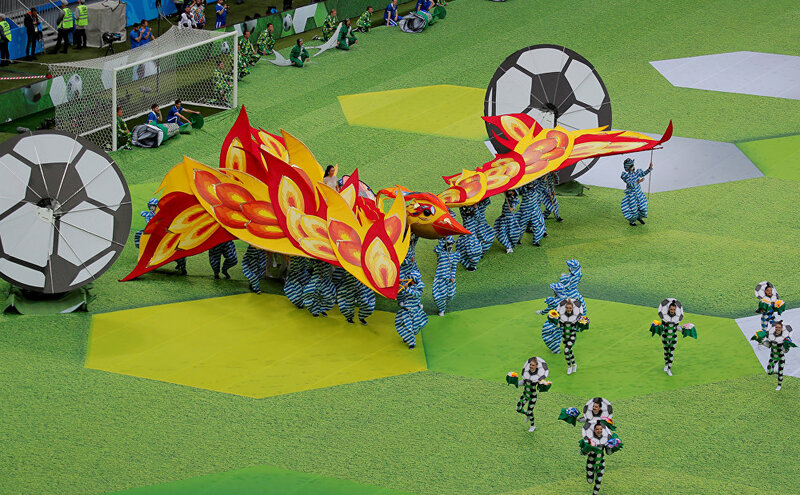 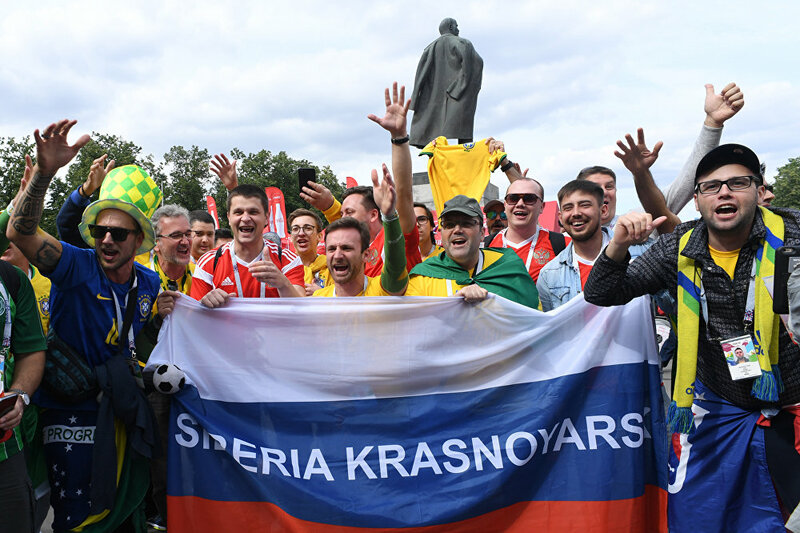 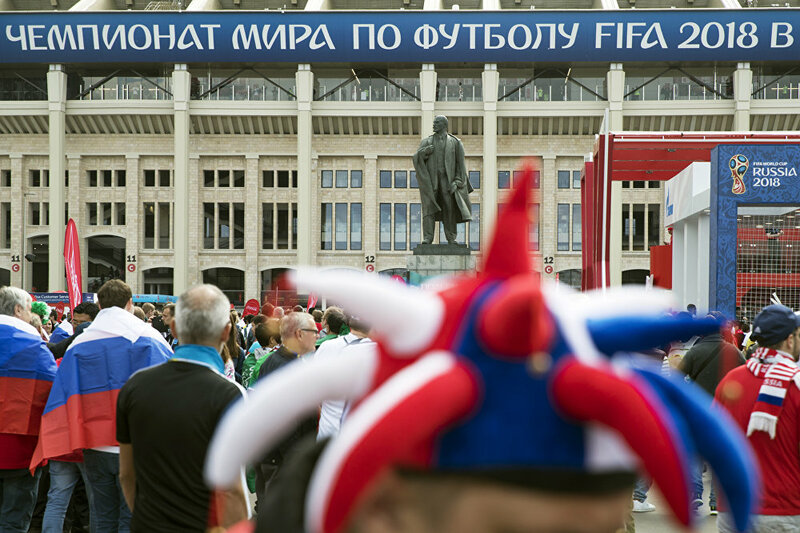 The first day of the World Cup has been marked by the opening ceremony, which feautured the performance by Robbie Williams, the match between the host country and Saudi Arabia that ended with the 5-0 triumphal victory of Russia, as well as the Fan Fest held outside the Moscow State University. 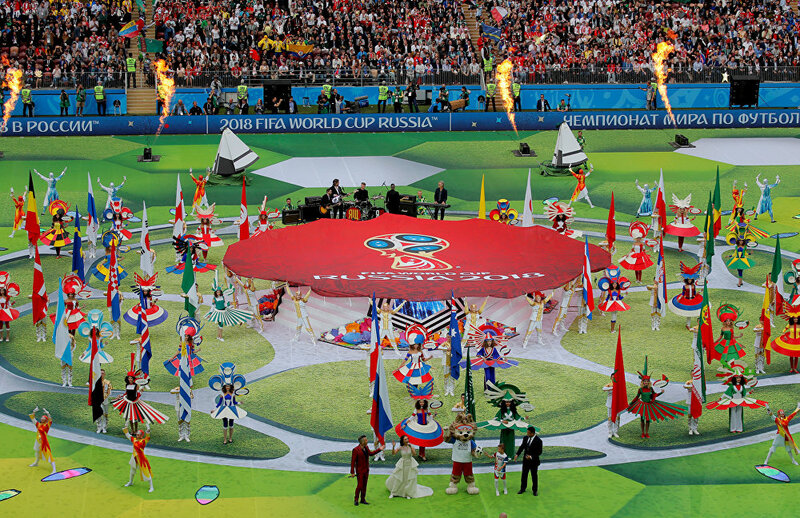 The opener was attended by leaders of 20 countries, including President Vladimir Putin and Saudi Crown Prince Salman.